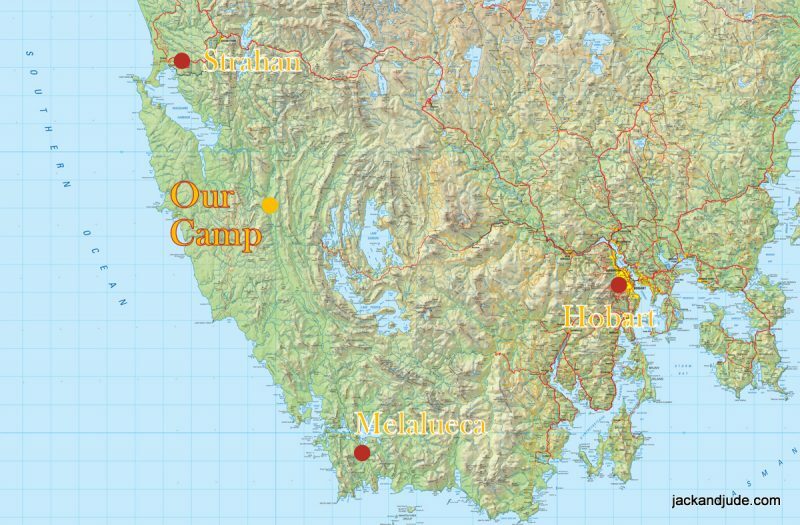 It’s been a busy month here on the west coast of Tasmania. We’ve been around the Harbour inspecting several tracks that our newly formed group is hoping to maintain, got rain drenched in the upper Gordon, returned to civilization in time to go on an organized Harbour cleanup. And when just catching our breaths, a fabulous weather window opened, promising a week or more of balmy conditions. 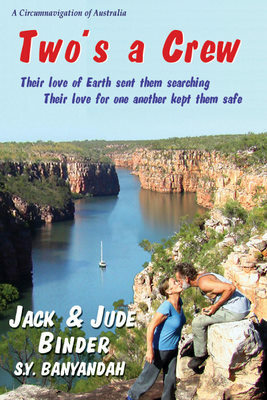 So again we took flight on what became one of our greatest adventures, Trekking to the Past. There’s a fair bit in this blog, so here are links to the contents. 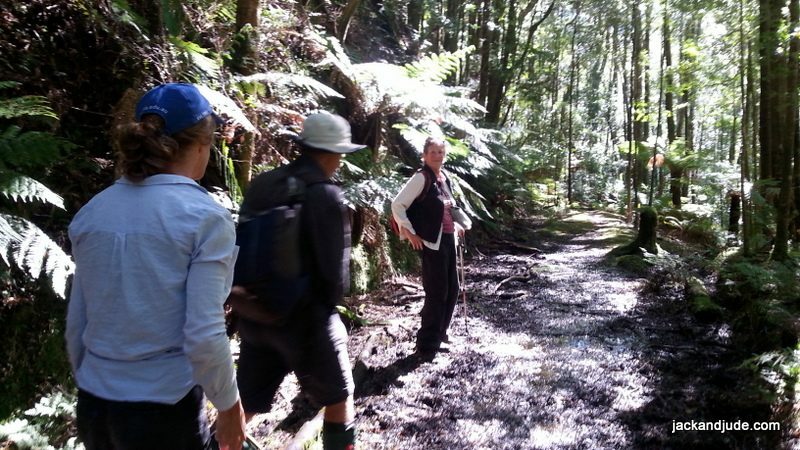 Immediately after Wildcare Friends of Macquarie Harbour was formed, we set off for an around the harbour meander to inspect the several tracks that we’re hoping to maintain under a newly signed Parks and Wildlife agreement. 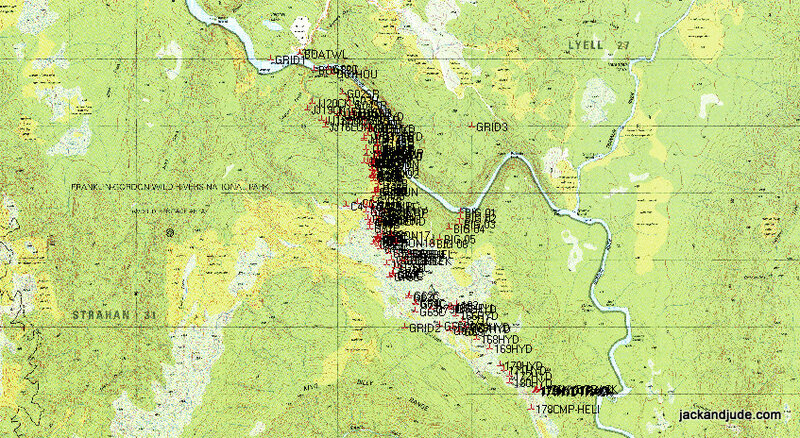 That delightful week walking those tracks took us as far as Sir John Falls where we’d hoped to set off overland, trekking well away from all humanity to the Sandstone Creek that runs under the King Billy Range. Unfortunately our beautiful sunshine vanished behind black rain clouds that kept us below editing video and chatting with the few other adventurous folk who had come to walk and kayak, but instead, were sharing the gloomy anchorage – until we all threw in the towel and returned to Strahan. Just as the sun returned! 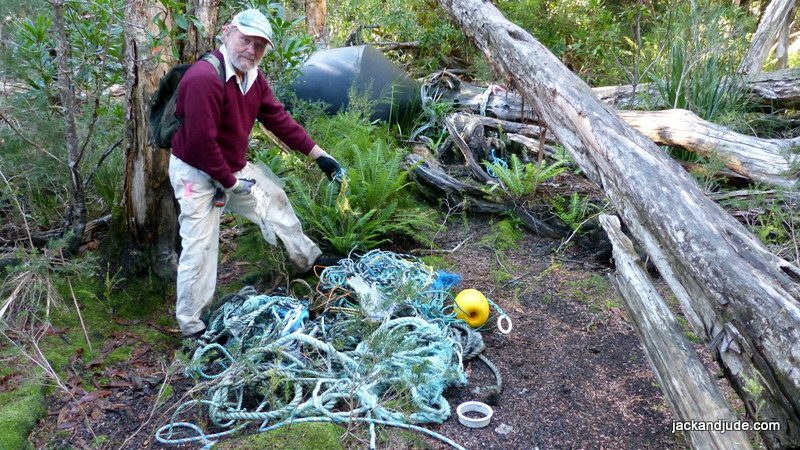 In time for the first ever Macquarie Harbour clean up. 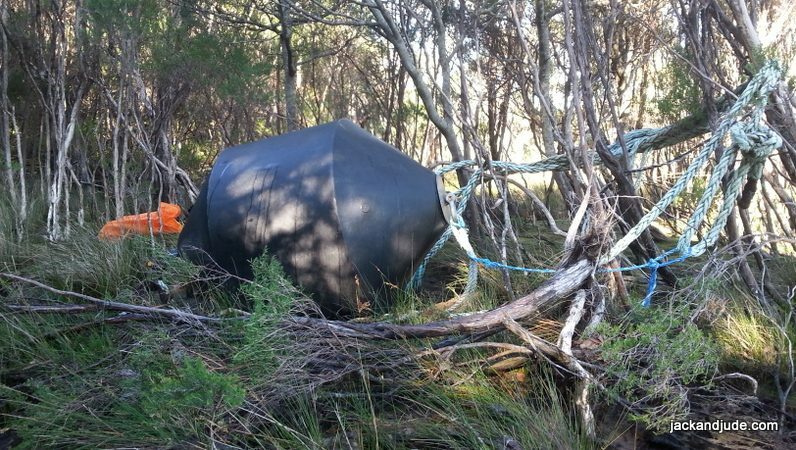 This unpleasant task is in fact a part of the licensing agreement of the three fish farms; Tassal, Huon Aquaculture and Petuna. 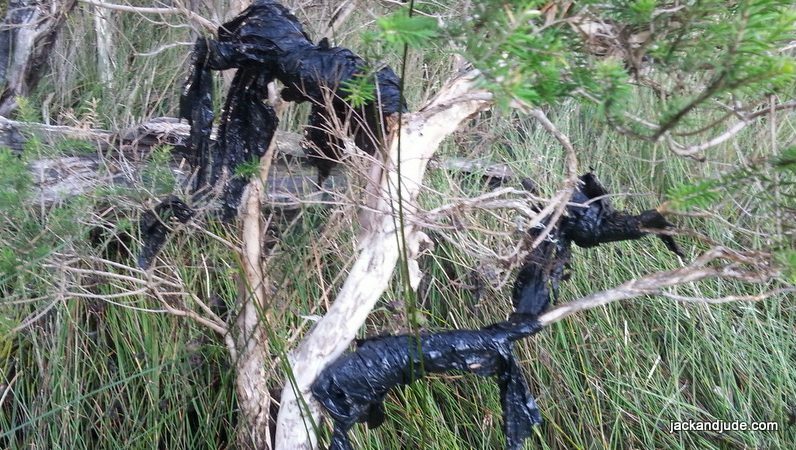 But they’ve had so much bad publicity recently over the health of the harbour and its once pristine waters, that a considerable community concern has arisen and therefore a special taskforce was set up to inspect and tabulate the trash found on the foreshores in order to find out how polluted the harbour is becoming. 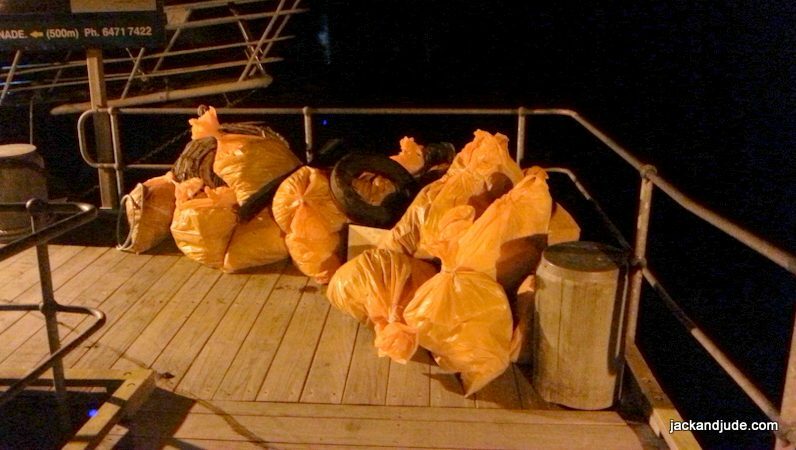 Numerous teams were established to work around the harbour in one big cleanup effort. 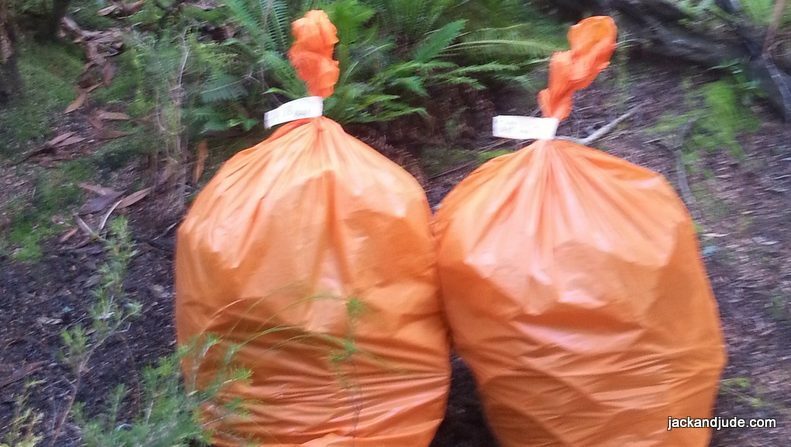 In our wanderings, we’ve seen a fair bit of trash and thought it a good idea to know more, and signed up to go with the team on Stormbreaker. 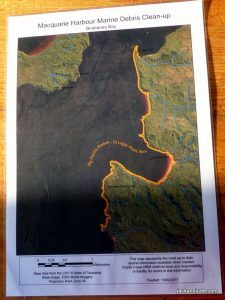 The zone assigned to us to clean ran 5 km south from the entrance of Kelly Basin, and included Clerks Bay and Charcoal Burners Bluff to North Pebbly Beach. 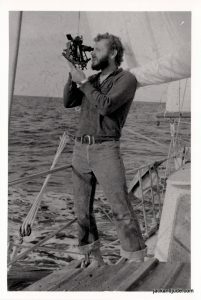 Trevor Norton, who volunteered the use of his charter vessel, supplied all the food and a few drinks, and so our merry band of eight set off on a balmy Sunday afternoon just days after we’d returned from up river. 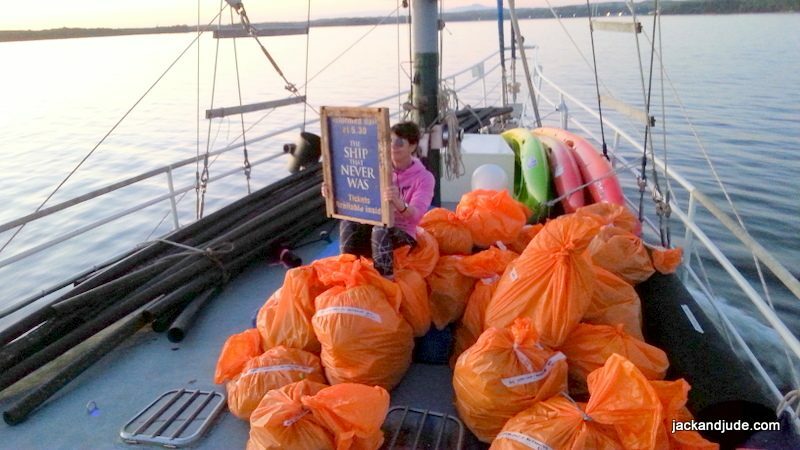 The following morning, which was a wowser, we were issued with protective gloves and big rolls of bright orange plastic garbage bags, along with rolls of pink marking tape for the stuff we couldn’t carry away. 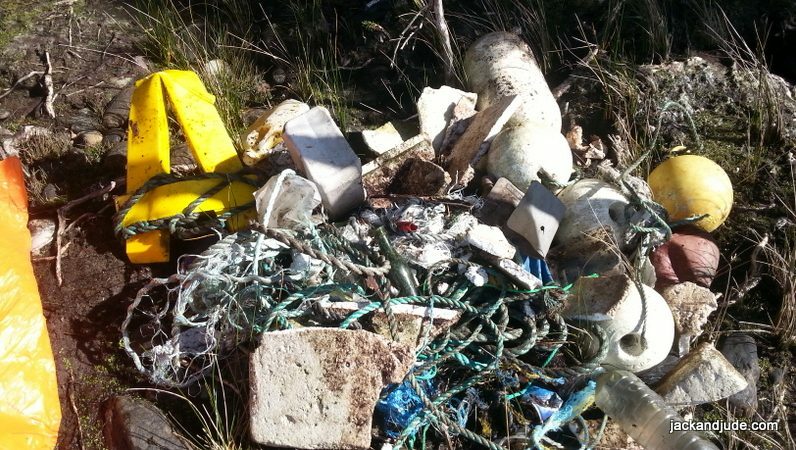 Having seen plenty of junk scattered here and there on our wanderings didn’t actually prepare us for the magnitude of refuse polluting these foreshores. 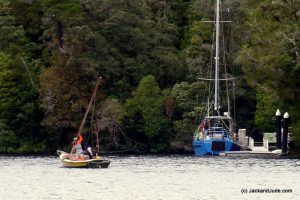 We split into two groups of three, each covering half the territory, while Trevor and a helper, using the dinghy, carted our full bags back to Stormbreaker, in between pulling out bigger stuff stuck in shallow water. 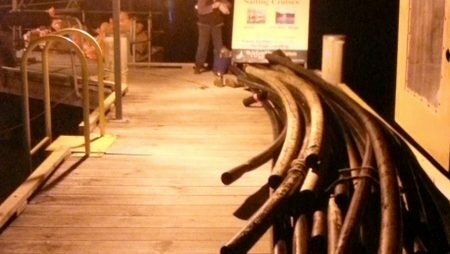 Our team collected literally a kilometre of large diameter black plastic pipe, half a fish pen, two mooring buoys each bigger than the fattest man, plus thousands of lengths and bits of rope amounting to hundreds of metres, much of it caught around vegetation or naturally trapped by wave action. It wasn’t hard to imagine plenty buried out of sight, waiting to be unearthed by the next storm. Heaven forbid! 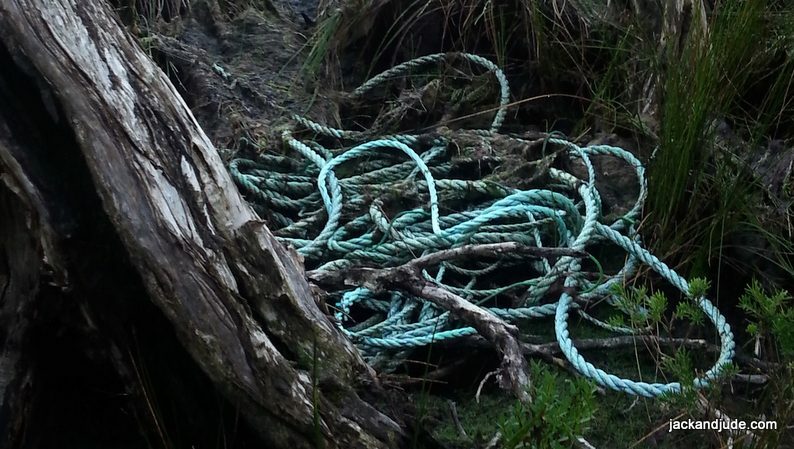 Synthetic rope is made up of thousands of fine strands which, when caught by the sun and thrashed by wind and sea, breaks up into millions of little short bits that eventually becomes invisible bits caught up in the food chain. Also there were Styrofoam white floats, those used for moorings and markers, many broken into pieces, that when manufactured were made from hundreds of tiny beads of foam, which when breaking up scattered thousands of tiny white beads. 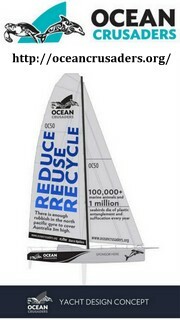 It’s no wonder we hear that a great percentage of marine animals ingest such material. 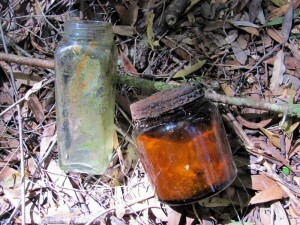 We noted how little non-fish farm trash we found in our sector. 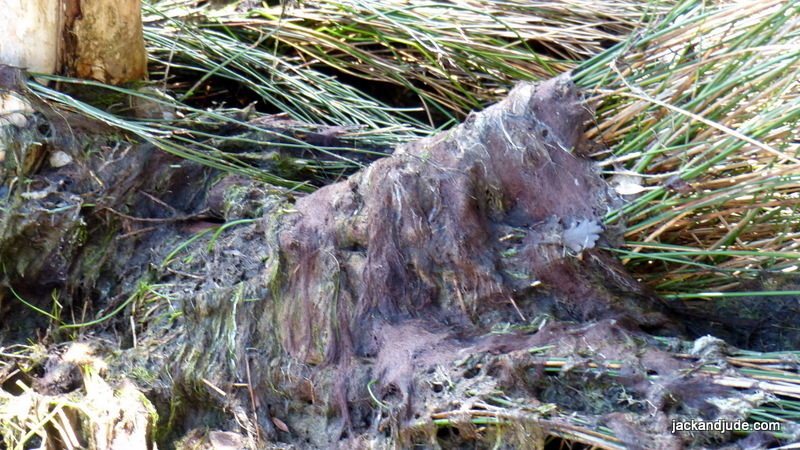 Gunge swamping the native growth. Scandalous! Outrageous! We are shocked by the wanton disregard shown for the environment by the fish farms. Far worse, compounding the magnitude of trash, we found hairy mossy gunge washed over and suffocating the foreshore reeds and buttongrass. We’ve not seen this before and can only think that the extreme nutrient levels now in the harbour are causing this. Jobs and growth over protecting the environment will depreciate Earth life until our children accept a degraded Earth as the norm. How sad that is! This article has proved so interesting to our followers that we’re going to post more photos so that you can better judge whether these commercial ventures are treating the surroundings with due respect. Our thoughts, if this were anywhere else, an industrial zone or city, they would be in front of a court on charges of littering, if not something far greater. 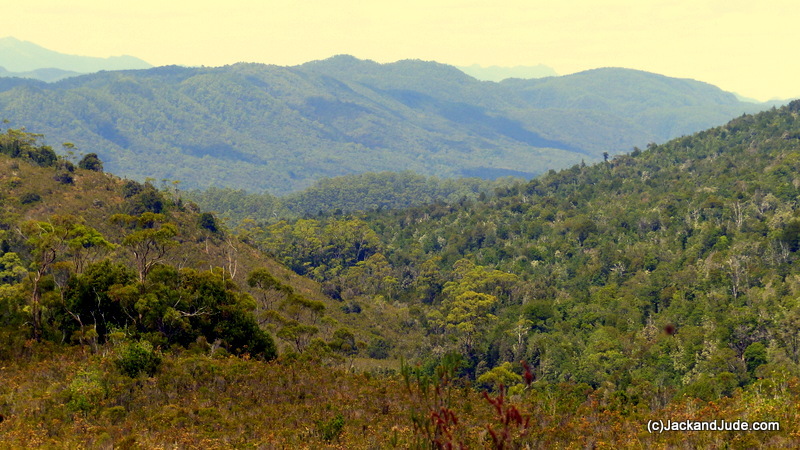 It is even more scandalous that this is a World Heritage area, supposedly to be kept pristine. No sooner were we back from this outing when a new weather system began forming promising fine conditions over Tasmania for at least a week, maybe even as long as ten days. Oh my! We couldn’t let the opportunity escape and quickly arranged for a fast ride up the river with a friend. 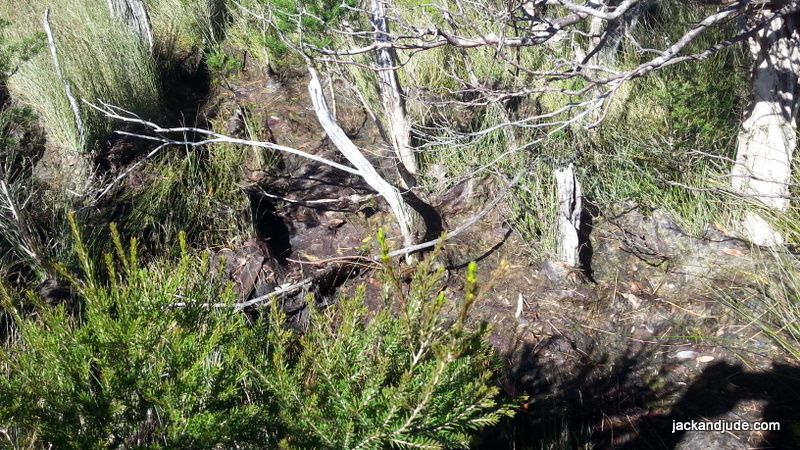 Hydro marked the Goulds Track with their unique orange painted diamond shaped signs that have a bright yellow dot in the centre, and which are held aloft about shoulder height on a galvanised pitchfork stalk planted in the ground. Jude and I have been tracking these signs for the past three years because this historical route that opened up the west was left to be swallowed by the ever consuming growth of Nature after the area was declared a National Park – which ended the construction of the dam that never was. 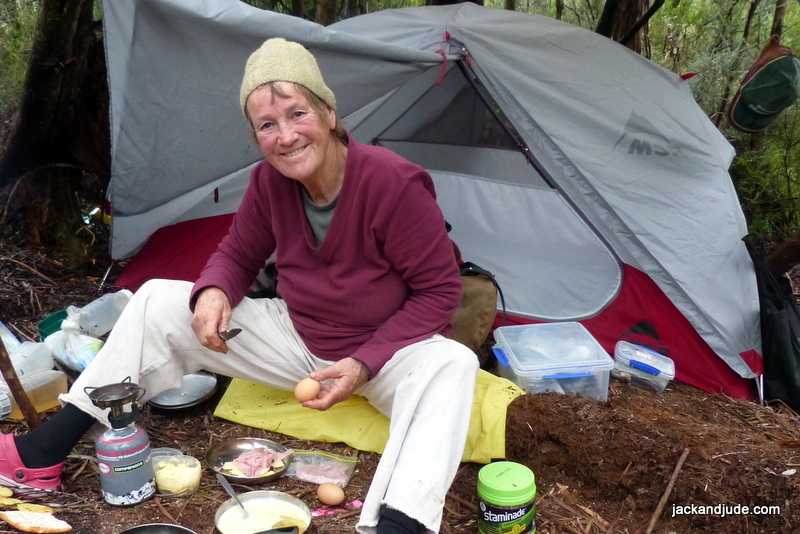 We have just returned from living two weeks in a fridge at Sir John Falls in the upper Gordon. More on that in a moment. But first, Australia’s east coast has just been hit by cyclone Debbie, a massive category four system that gained power and moisture crossing the hot Coral Sea. 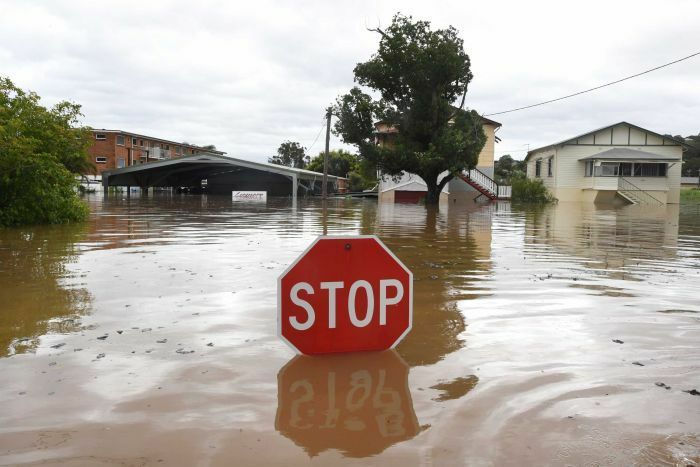 After its destructive winds nearly levelled the towns of Airlie Beach and Bowen, stranding thousands without food, electricity or a means of escape, the still powerful and very wet rain depression moved south, flooding the capital city of Brisbane before setting its sights on Northern New South Wales. 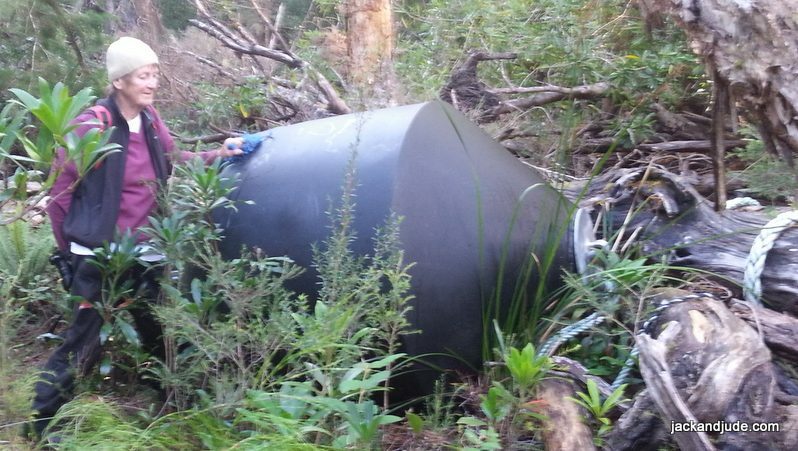 That’s where it dropped 500 mm (20”) overnight near our shack on the Richmond River. 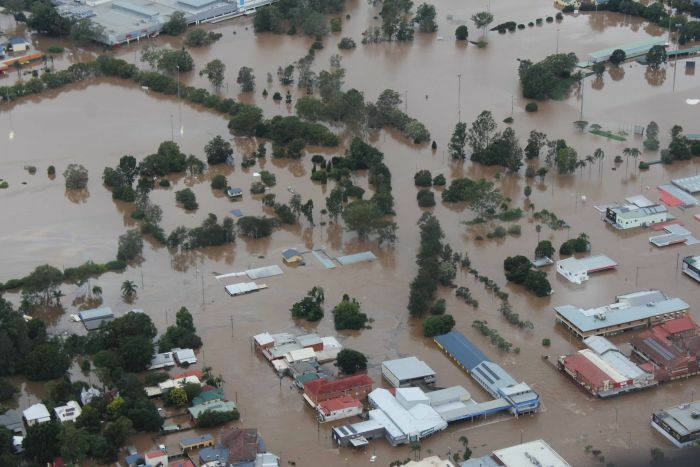 Our chief commercial town of Lismore was severely hit when the floodwaters breached the levee built a dozen years ago to prevent future flooding. As a result, the downtown area was engulfed in several metres of water. Further afield, homes and farms were flooded, animals affected, entire communities put to risk. In Queensland, more than a 100,000 homes were left without power, with little food and no refrigeration, no means to cook; little ones traumatized and put in fear of losing life. These massive waters are now flooding downstream, further destroying property and infrastructure, maybe even our little shack. Time will tell. 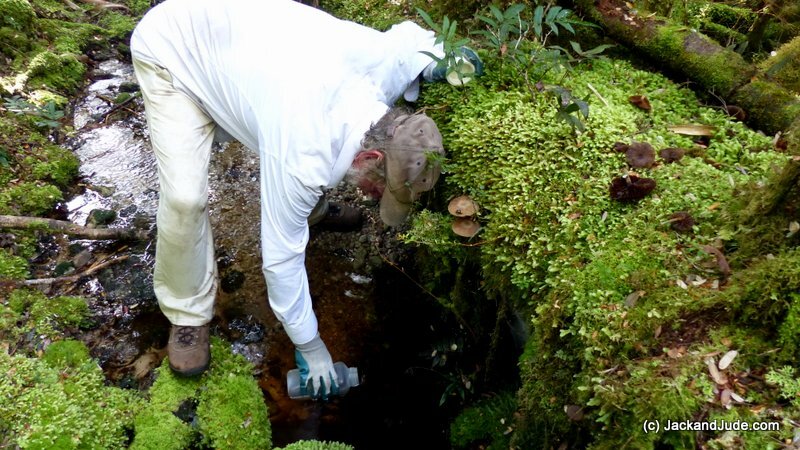 Our group works in partnership with the Parks and Wildlife Service (PWS), Forestry Tasmania, and landowners to help maintain the cultural and heritage tracks and infrastructure within Macquarie Harbour and its waterways. 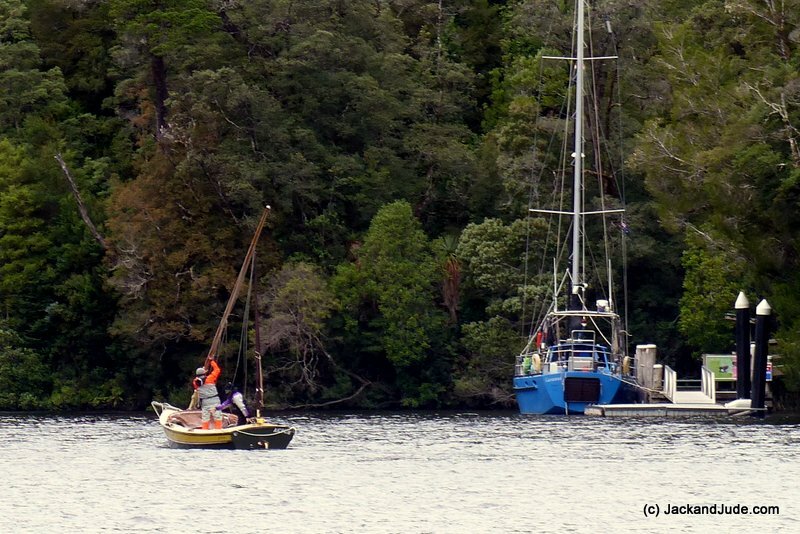 Macquarie Harbour and waterways are located on Tasmania’s west coast with the hamlet of Strahan at its head. 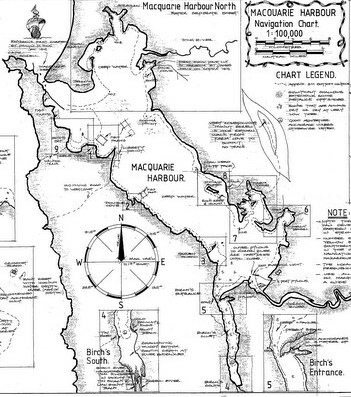 Macquarie Harbour is the second-largest natural harbour in Australia, six times the size of Sydney Harbour. 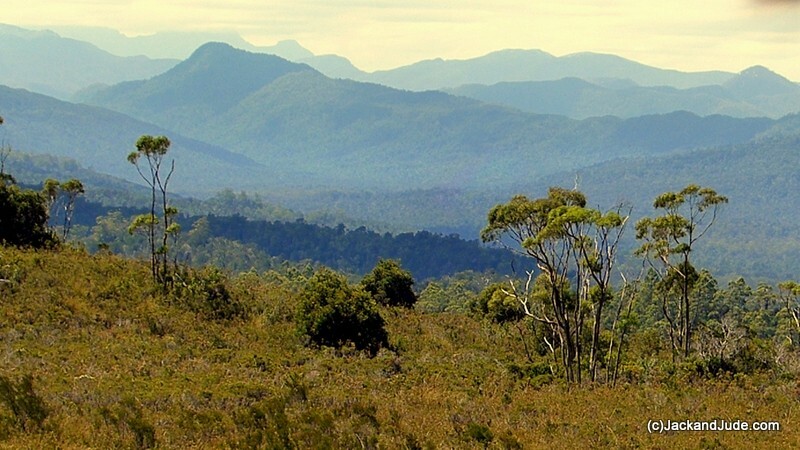 However, its real glory is not its size, but its setting surrounded by rugged mountains, ancient forests, wild rivers, and fascinating histories of convicts, mining, huon piners, and hydro. 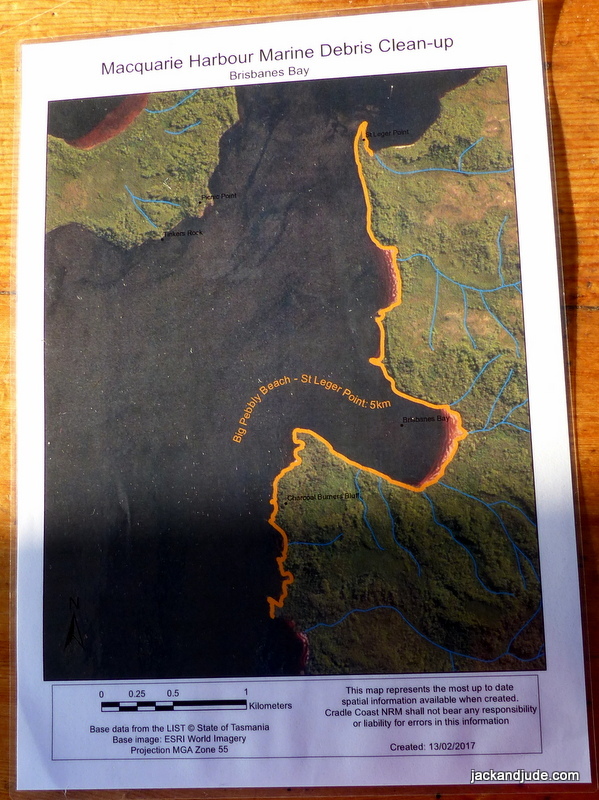 Macquarie Harbour is fed by many rivers, not least is the Gordon River within Tasmania’s pristine World Heritage Area. 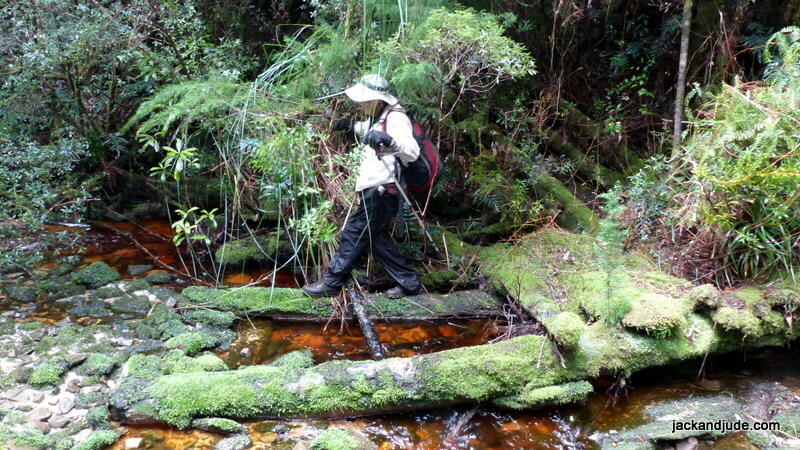 There are many hiking trails amidst rainforests abundant with wildlife, waterfalls and raging rivers. Kayaking is popular within these waterways. Because of the wet windy nature of this iconic area, the many tracks to spectacular sights must be regularly maintained to allow safe passage. Our group will organise working bees to do this, generally in the summer and autumn months. These will be listed in the group’s calendar. 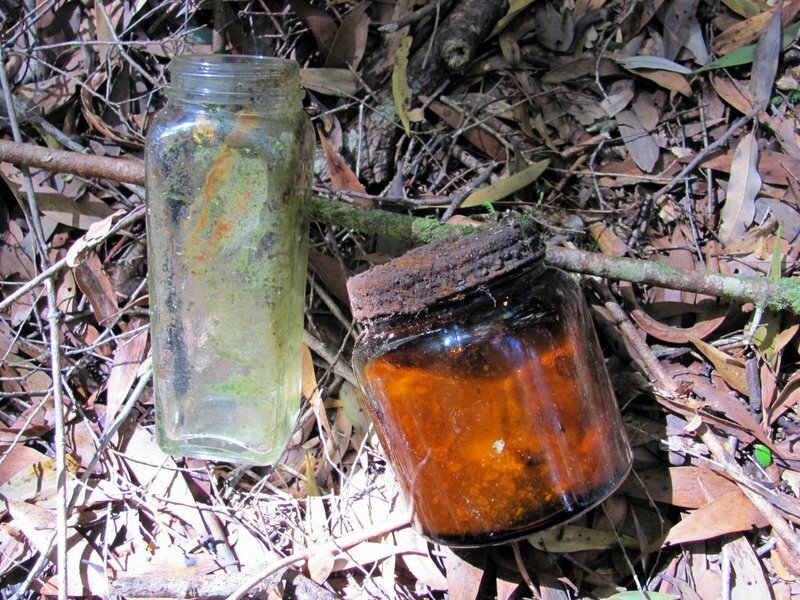 Over the last three years the group has located, tagged, and cleared the heritage Eagle Creek Track that was used in 1842 to transport Sir John and Lady Jane Franklin from Tasmania’s East to the Gordon River, then used again throughout the piners era and during hydro exploration. 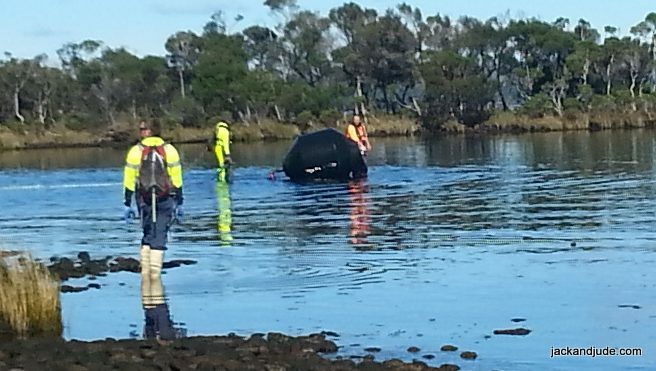 Maintaining this important link with the Franklin River is ongoing. We are currently initiating a project to restore the 1970s hydro hut at Sir John Falls on the Gordon River to a safe comfortable level for ongoing public use. Funds will be required to undertake this work and the group is planning the project in consultation with PWS, funding bodies and other interested groups. In addition, our group requires tools and protective clothing for which funds are sought. 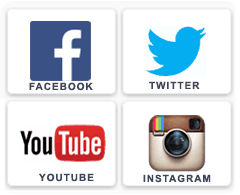 We have our own Wildcare website where you can find information on our planned events, join our group, and/or contribute funds. 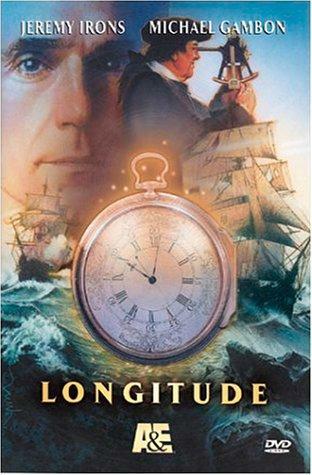 Last night we watched a very good movie close to our hearts based on an excellent book by Dava Sobel called “Longitude.” It tells the story of how John Harrison developed the first really accurate ship’s clock that enabled sailors to determine their East/West position on Earth. You may remember that we were sextant sailors for a couple of decades, and navigated thousands of miles around the world using time to determine our longitude. Doing this not only saved us from countless dangers, it also put us in contact with Earth and the universe. 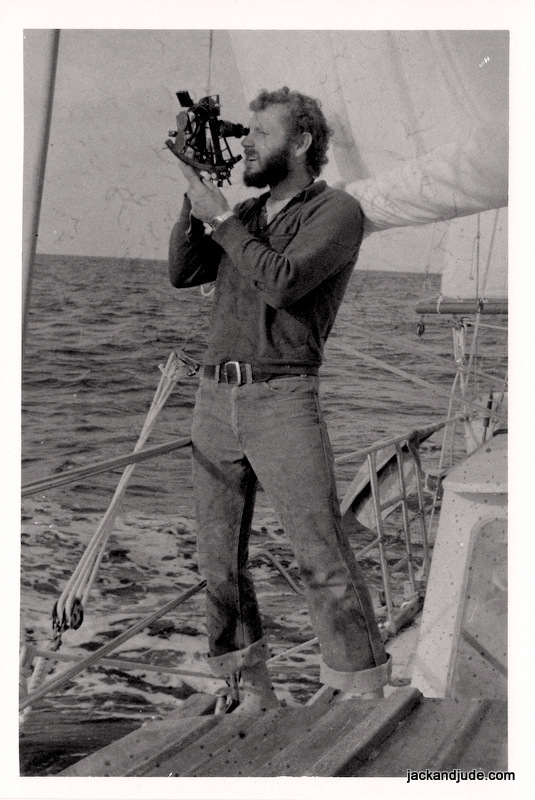 Swinging a sextant, measuring the sun or star’s angle to the horizon countless times during years at sea made the heavens our intimate friend. We can still tell which way we are travelling, and even the time, by simply gazing up to the heavens. Jude and I were intrigued to see John Harrison’s genius use layers of compensating devices in his first clock’s mechanisms to correct anomalies and achieve a better result. But, although his first clock was more accurate than other clocks of its time, it failed, being too reliant on those layers upon layers upon layers of fixes. Sound familiar? Like the way we govern ourselves? Harrison did wise up though; starting afresh with what he had learnt, to go on and design three further clocks. 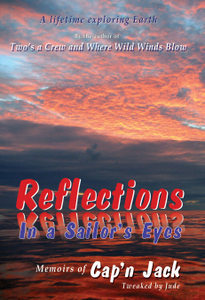 The fourth, and smallest, was so accurate that Britain could safely navigate anywhere in the world, and as a result, entered a new age as the greatest maritime nation. 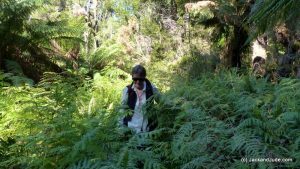 After forming this new Wildcare group, Jack and Jude set off on a voyage around Macquarie Harbour and Gordon River to inspect the many tracks that we might be maintaining. 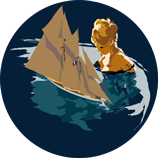 A few weeks ago, when a fine northerly wind was forecast, we stowed our chattels and sailed for the wilderness down harbour, losing contact with the world within the first hours. That night, secluded in Farm Cove under the mighty Mount Sorell, we watched a southerly front clobber the mountain. Drone flight over Kelly Basin, the most remote ex-bustling-town in the world. 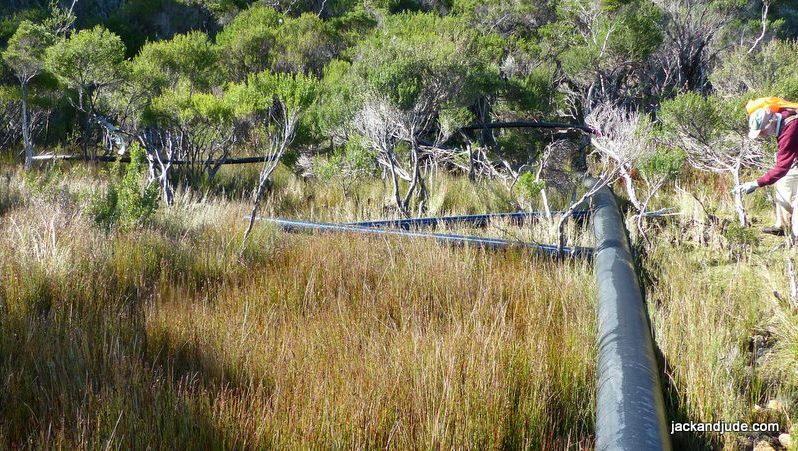 Once, for a short time, an export port for West Coast Tasmanian Copper, today succumb to ferns, vines and rare trees of the wet rain forest. A beautiful spectacle of Nature taking back what man tried to achieve. 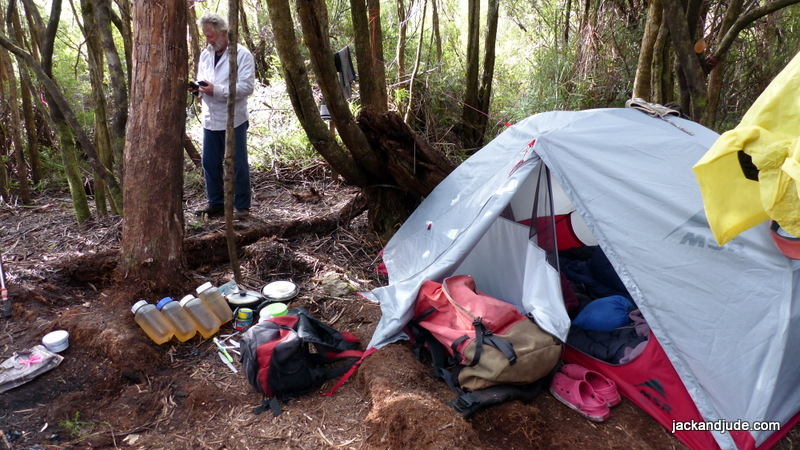 Then when glorious sunshine returned, we shifted next door to Kelly Basin to walk the fabulous Bird River track with friends Rob and Lou from the good ship Zeehan. 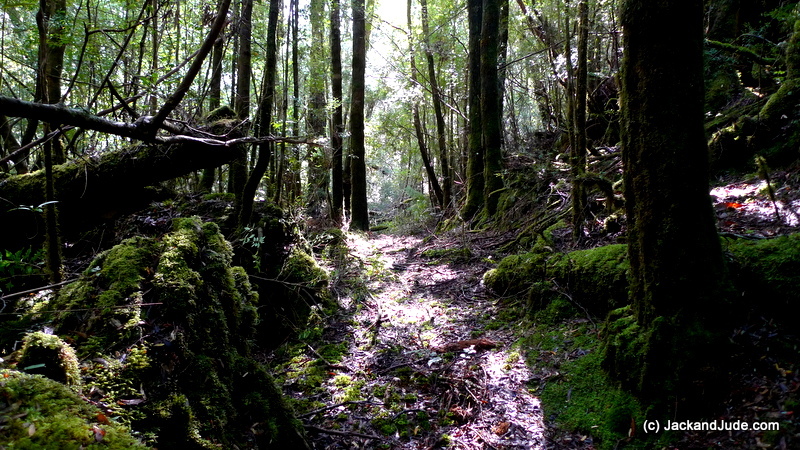 The Bird River track is one of Tasmania’s sixty best short walks and is famous because the walk runs upon the bed of a railway, built circa 1900 to bring copper out of the North Mount Lyell mine near present day Queenstown. Two towns graced these shores and many relics remain of once busy East and West Pillinger, which only existed for a rather short time. Today lush forests have reclaimed the land. 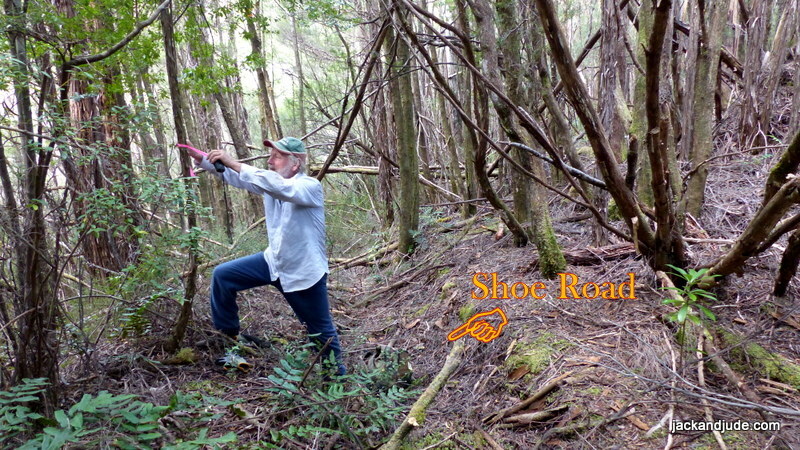 It was a fabulous sunny day, so we packed a picnic lunch then tramped up that rainforest stream under a thick green canopy, noting that much of the bracken near the start needs a tidy up before someone unknowingly trips over the maze of surface roots. 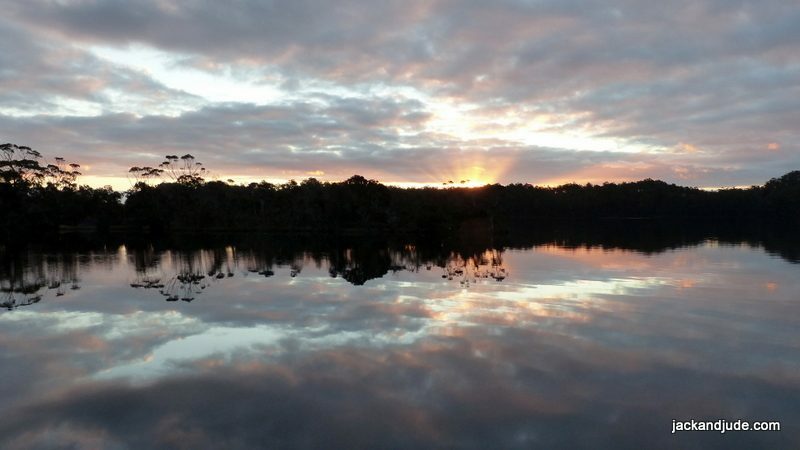 A few days later, we sailed to the Gordon River mouth then continued ten miles upstream to Eagle Creek, where early the next day, Jude and I trekked up the equally famous Eagle Creek track that was used to transport Governor Franklin and his wife from the east coast in 1842. It’s an arduous climb rising 400 metres and easy to lose one’s way through wet forests well decorated by marvellously coloured fungi. The first lower bit, which is the most walked, needs to be cleaned up and remarked. And the climb following this has a few larger trees fallen across the way. 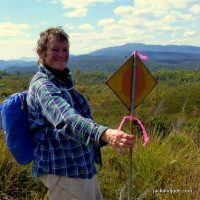 Where the track comes out into the open under the Elliot Range, the bauera and razor grass is flourishing, and the many bauera fingers are intertwining through the razor grass, making nasty obstacles. Clearing this back is essential as it’s presently hard to figure out which way to go. Oddly, our pink and red tapes marking the route seem to be fancied by the birds. A lot have been pecked off, their remains lying on the ground. Maybe the birds are trying to tell us they don’t want human interference in their world. 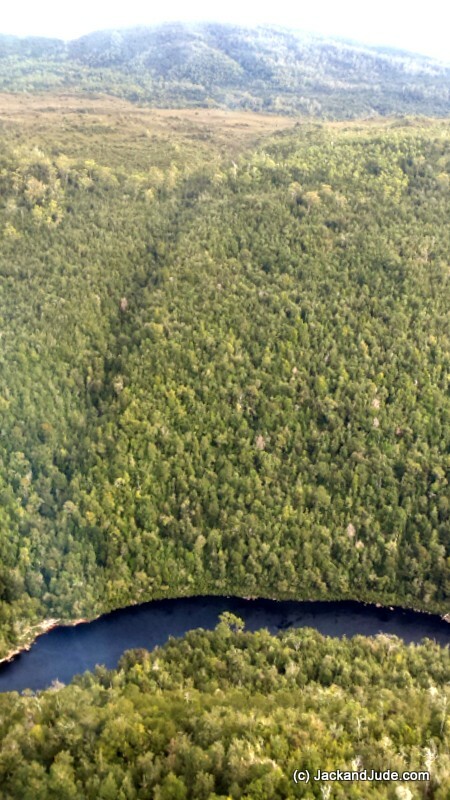 We still had marvellous sunny weather, actually too hot out in the open, which made the twenty-mile motor upriver past forested slopes and through gorges filled with reflections a glorious treat. At the furthest reach that a keeled boat can navigate, the Gordon narrows to a very steep gorge that keeps the sun out for most of the day, and, as the waters’ source is nearing the high country, they’re freezing cold. Banyandah soon became a floating refrigerator. 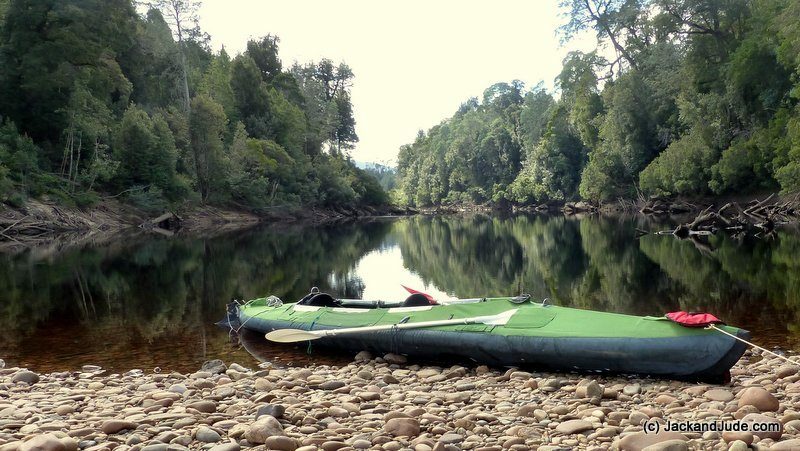 The first day we had the whole Sir Johns Falls area entirely to ourselves and launched the Green Machine to paddle up to the confluence with the Franklin River, paddling right past where the “Gordon below Franklin Dam” was to have been sited. 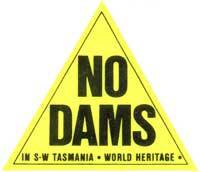 Tasmania Hydro, after last year’s debacle of running out of water in the Gordon Dam at Strathgordon, has been keeping the gates tightly shut this year. 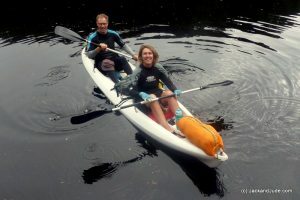 Therefore, there was negligible flow, making the paddle easy-peasy through some of the world’s best scenery. That evening, Trevor arrived with the Stormbreaker to pick up a group of rafters, and he brought along a care package for us containing mail and extra food. It’s great having mates who look after you. When he shoved off next morning at dawn, we slipped into the Sir John Falls wharf and wandered up for a bit of inspiration under the falls. 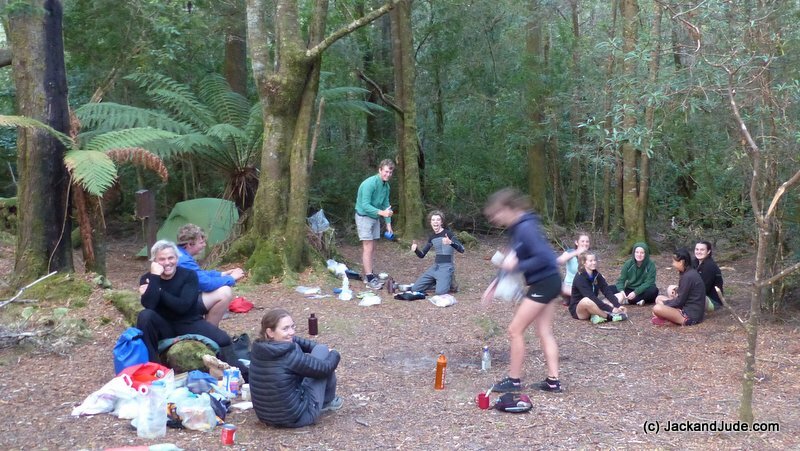 While there, another vessel arrived, one we’d met in Eden, so we hunkered down with them to catch up over a cuppa, then a bite of lunch before heading with them over to the old Forestry house site to walk up the Goulds Track. This historically important route, which is maybe the most important and well used of all the forest tracks, is just so delightful. Cut in 1862 by Charles Gould and his crew, it linked Tasmania’s East Coast with the wild West Coast, so that miners and explorers could find wealth that would sustain the new colony. 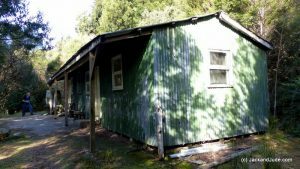 It was later used by the Huon Piners to get supplies to the upper reaches of the Gordon and then again by Tasmanian Hydro, who established a base camp up river to study water flows. 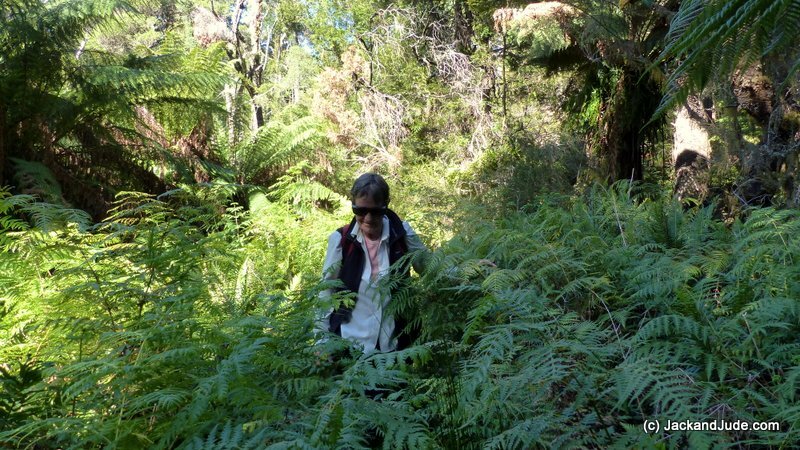 But when this area was declared a national park, the cart wide track was quickly hidden by growth. There simply hasn’t been enough funding for Parks to maintain it. We’d not walked it since last summer and were super pleased to see how clear it had remained. On the day we’d arrived, the Launceston Grammar School had been there on an outing by kayaks and had walked the first easy kilometres, and when we talked to the kids, they were bubbling with excitement over such a wonderful exposure to the South West World Heritage wet forests. 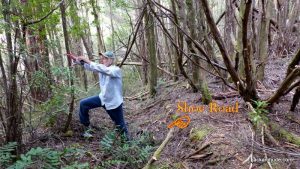 Many variety of trees line the old shoe road that this area is famous for – Huon pine, King Billy, Celery Top and Sassafras to name a few, plus vines, mushrooms, laurels, ferns, with very few demons like razor grass. It’s simply a very lovely walk in a park. Alas, that was the last of the nice days. Guess we’d used up our quota because the rains began next morning, and while the forest came alive in glorious exuberant colours, it got very cold and wet. After four days boat bound, at the same time Cyclone Debbie hit the Queensland coast, and our little shack came under its cross-sights, it was time to return to communications. But we’ll be back up there for another dose of pure Nature, you can bet on that. I am in envy of your adventures….Such rewarding and satisfying lives you two live! Good lord, master’s and commander’s. Your adventures are never far from my thought’s, I’m totally envious, one day, yes one day……. Thanks Aaron, It’s a real pleasure to provide a bit of inspiration while at the same time getting heaps out of life – bonds Jude and I as soul mates, lovers and good friends. 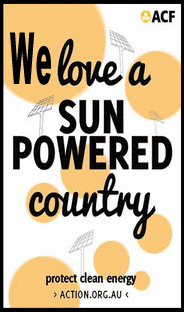 At the same time we are trying to give back something to our community and planet for providing these wonderful opportunities and our good health. 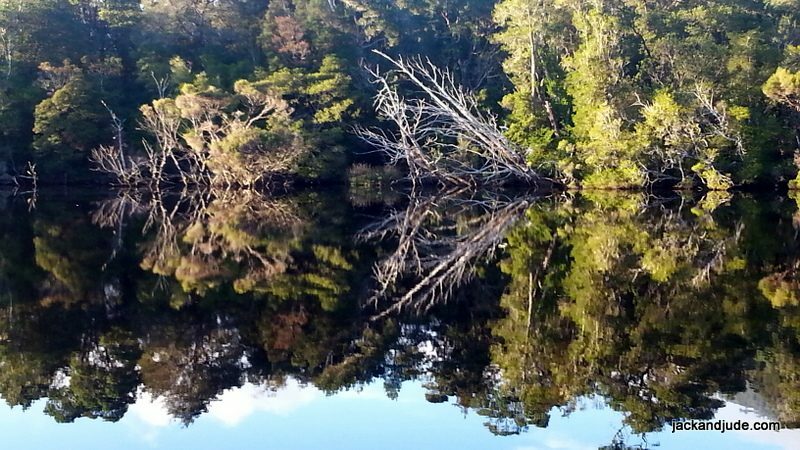 Great blog and really enjoyed your video on Macquarie harbour. Reggae is still in Port Arthur awaiting competition engine rebuild, may next season might try the west coast. 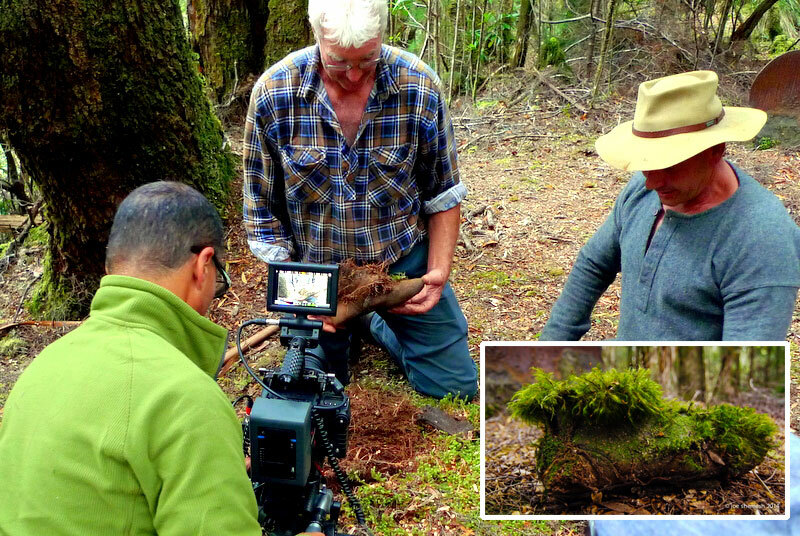 Hi Warren – This new Wildcare Group will be having Field Days maintaining hard to reach tracks. 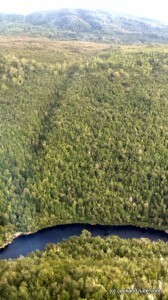 Good opportunity for those who enjoy the wilderness. 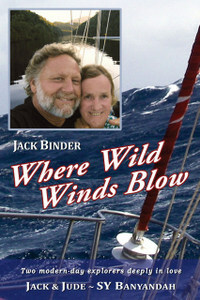 Great to read of your adventures, hope to head to Tassie end of this year, you have inspired us no end. Presently awaiting better weather before heading North from Yamba on our ketch, Rhumbalara. Reside near Evans Head, so have been in the thick of the weather as a result of cyclone Debbie, I reckon your ‘shack’ at South Ballina should be OK. Regards stay safe. Hello Mike and Lyn, always happy to meet neighbors 🙂 and hear good news regarding our shack. Poor Lismore – What a catastrophe! Swamped after building the dyke to prevent just this. We should have a coffee sometime this winter – unless of course you’re enjoying the warm Qld sun!